Each year, when employees start using their new health plans for the first time, confusion abounds. You’ve been there. You know it’s unavoidable. In the new year, it’s as natural in the benefits’ world as the sun rising in the east. 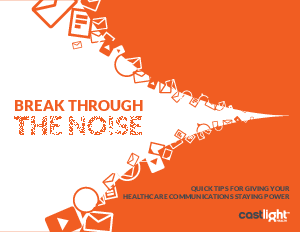 You answered their questions during open enrollment, but not every employee listens to each word you say (What? Really?! ), and details get forgotten. The rubber always meets the road when employees actually start to use their new plans. That’s when the questions, suggestions, complaints, comments – i.e., employee noise – starts to roll your way.